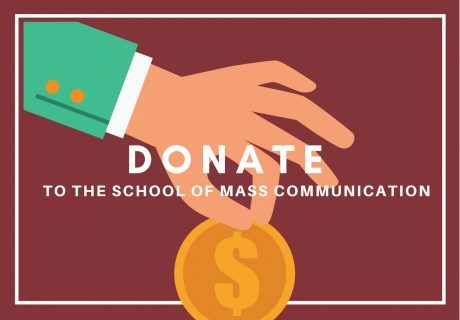 Courses taught in the School of Mass Communication are focused on developing students into leaders through promoting academic excellence and providing students with hands-on experiences in the professional world. Orientation to mass communication major, mass media profession and UALR. Helps students reach their educational objectives. Interactive instructional methods promote the development of critical thinking skills and positive educational values. 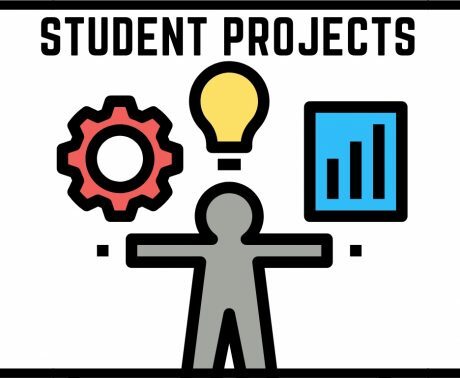 Students 1) learn to identify and use appropriate resources both on campus and within the community; 2) acquire skills needed to promote study, personal wellness, goal setting, and achievement; 3) develop strategies to manage time, stress and conflict resolution. Prerequisite: MCOM 2320. Required in Media Design and Production sequence. Fundamentals of audio control-room procedures, audio recording and editing, single camera field production, and video editing. Emphasis on proper use and handling of equipment. Minimal exposure to video study practices. Three credit hours. Basic elements of movies, the process of movie making, and the approaches to movie aesthetics and criticism. Assignments may include viewing motion pictures at local theaters. Three credit hours. Required in all School of Mass Communication majors and some minors. Survey of relationships involving mass media, culture, and various other interconnected systems, both nationally and globally. Includes a discussion of functions, freedoms, and responsibilities of mass media and effects on individuals and groups. Topics will include newspapers, magazines, radio, television, Internet, and developing media. Three credit hours. Prerequisite: MCOM 2320 or consent of instructor. Introduction to basic news and feature writing skills. Style and story structure for print and electronic media. Laboratory instruction and practice in writing for publication. Three credit hours. An examination of the evolution of strategic communication, its impact on organizations and publics, the principles, processes, theory and planning that directs strategic communication in all fields as well as the ethics and values that an organization must use to shape the successful implementation of a strategic communication plan. Three credit hours. Prerequisites: MCOM 2320, and MCOM 2350 or MCOM 2308. This course will introduce students to the principles of web design and development techniques, and online communication from a mass communication perspective. It focuses on how to use Internet authoring tools and communication principles to design and publish on the Internet. Three credit hours. Prerequisite: MCOM 2320 and MCOM 2330. This course will introduce students to a survey of research methods and their application in the study of mass communication. Students will also receive practice in determining the appropriate choice of research method for a mass communication problem of their choosing. Three credit hours. Prerequisites: MCOM 2320 and MCOM 2350. Application of principles of news writing to journalism practice; development of skills in evaluating the news, interviewing and gathering information. Laboratory instruction and practice in objective reporting. Materials submitted as assignments are subject to dissemination through print and broadcast media and on the World Wide Web. Three credit hours. Fundamentals of news and feature photography for newspapers, magazines, and the Web. Materials submitted as assignments are subject to publication. Use of the SMC computer labs. Three credit hours. Prerequisite: MCOM 2300. A practical study and application of video production with an emphasis on studio and multi-camera productions. Three credit hours. Prerequisites: MCOM 2320 and MCOM 2350. Introduction to news editing. Instruction and practice in print audio and video editing in terms of content and style. Use of computers to edit copy and images; fundamentals of design for print and online media. Three credit hours. History and development of the American entertainment motion picture industry from the technological to the aesthetic and social to the economic perspectives. Includes the evolution of the movie industry as it relates to audience uses and gratifications. Three credit hours. Criticism of contemporary movies, concentrating on the creative elements used in the service of aesthetics and the application of scholarly and popular critical standards. Certain historical references are included. Assignments include the viewing of motion pictures at local theaters. Three credit hours. History and development of film genres, focusing on defining different genres, observing their iconography, recognizing the conventions used and understanding their cultural impact. Also, an analysis of the Hollywood style of filmmaking and its impact on genre pictures. Three credit hours. This course will examine how film directors imprint their life, style and thematic interests on the films they make. The work of major directors from classic Hollywood, overseas and contemporary America will be studied. Three credit hours. Prerequisites: MCOM 2320, and MCOM 2330 (may be taken concurrently). This course will examine current legal, policy, and ethical issues affecting the broadcast, cable, print, and interactive media. Prerequisites: MCOM 2320. MCOM 2350 may be taken as prerequisite or corequisite. MCOM 2300 is strongly recommended but not required as a prerequisite. The course provides study and practice in the basic methods of writing and producing for radio and television news. The course will also evaluate audio and video streaming of material on news-related Websites, and may include having student work presented online. Three credit hours. Prerequisites: MCOM 2320, MCOM 2350, MCOM 3365, and MCOM 3370. MCOM 3315 is strongly recommended as a prerequisite but is not required. Production of programs for the electronic media. Students function individually and on news teams to develop high quality on-the-air news programs, with video streaming of appropriate student work and some use of the Web for research. Three credit hours. Prerequisites: MCOM 2320, MCOM 2350, and MCOM 3365, or consent of instructor based upon documented media experience. This purpose of the course is to teach students the rudiments of radio and television newscast producing, emphasizing TV. Students will be encouraged to develop critical thinking skills about selecting and organizing news material and graphics, writing stories, and managing, timing and promoting newscasts. Three credit hours. Prerequisite: junior standing. Work experiences in on-campus media under the direction of a School of Mass Communication professor. Periodic written and oral reports to the professor coordinating the study. Three credit hours. Prerequisite: MCOM 2300. The basics of non-linear editing and use of appropriate software. Three credit hours. Prerequisite: Mass Communication majors must have completed MCOM 2308 and MCOM 2330 with a C or better. No prerequisites for Film minors. Learn the process, structure and skills used in writing minor picture screenplays. Three credit hours. Prerequisites: MCOM 2300 and MCOM 3390. A practical study of non-linear editing in the field of video production. Three credit hours. Prerequisite: MCOM 2300. This course will provide students with a practical study and application of lighting techniques for video production. Students will learn studio and location lighting. Three credit hours. Prerequisites: MCOM 2320, MCOM 2300 and MCOM 2330 with a C or better. Study and practice in advanced audio pre-production, production, and post-production elements used in radio, television, the Internet and other electronic media. Three credit hours. Prerequisites: This course is designed to encompass a basic understanding of design elements and the appropriate software. Students will be exposed to a variety of photographic challenges geared toward creative problem solving and real-life experience in video production presentation. Three credit hours. Prerequisite: MCOM 2300 and MCOM 3390. A practical study and application of video production with an emphasis on movie making techniques. The class will start out making a movie together, then with skills learned, will proceed to make their own movies in groups. Three credit hours. Prerequisites: junior status and MCOM 2320 or consent of instructor. Decision-making in the editing process. Principles of typography, publication design, and printing processes. Experience in the use of computers to design camera-ready materials for publication. Dual-listed in the UALR Graduate Catalog as JOUR 5350. Three credit hours. Prerequisites: junior standing, MCOM 3360 is recommended. The restrictions, obligations, and responsibilities of the news media; the law and its effect on publishing and broadcasting; relations between the law and freedoms protected by the U.S. Constitution. Dual-listed in the UALR Graduate Catalog as MCOM 5352. Three credit hours. Prerequisite: junior standing. Development of the mass media from their beginnings. Emphasis on the interaction between the media and the political, economic, technological, and social factors surrounding the media. Three credit hours. Prerequisite: MCOM 2300 and MCOM 3390. A practical study and application of video production with an emphasis on documentaries. The class will start out making features together. Then, with newly learned skills, will proceed to make their own documentaries in groups. Three credit hours. Prerequisite: Junior standing. Broadcast news policies; history; governmental and other forms of regulation; social implications; influence of various publics on radio-television news coverage. Dual-listed in the UALR Graduate Catalog as MCOM 5357. Three credit hours. Prerequisite: MCOM 2320 and MCOM 2350. Planning, researching and writing the feature article for newspapers, magazines and online publications. Emphasis on humanistic reporting and providing a context for the news through thorough research and application of this research to the article. Materials submitted as assignments are subject to publication. Dual-listed in the UALR Graduate Catalog as MCOM 5359. Three credit hours. Prerequisite: Junior standing. Journalistic ethics and practices; professional conduct and responsibilities of the journalist in a free society. Dual-listed in the UALR Graduate Catalog as MCOM 5375. Three credit hours. Prerequisite: MCOM 2320 and MCOM 2350. MCOM 2350 may be corequisite. ADVT 4310 strongly recommended. The journalistic function in public relations; includes the writing and processing of news and feature releases for print and electronic media and editing internal and external publications. Dual-listed in the UALR Graduate Catalog as MCOM 5380. Three credit hours. Prerequisites: ADVT 4310, MCOM 2320, MCOM 2350, MCOM 4380; corequisite: MCOM 3315. Study of recent public relations cases involving business, industry, institutions and government. Students will also be introduced to public relations theories as they are applied in case studies and will analyze cases in terms of the component parts. Three credit hours. Prerequisites: ADVT 4310, MCOM 2320, MCOM 2350, MCOM 3315, MCOM 4380, MCOM 4381, or consent of instructor. Capstone course for the Strategic Communication sequence. A study of the planning and implementation of the public relations campaign with special emphasis on the application of public relations principles introduced in ADVT 4310. Includes student service learning project. Three credit hours. Prerequisite: Junior standing or consent of instructor. Advanced and specialized topics in mass communication, especially those of current interest and relevance to mass communication professionals. Possible subjects include the following: journalism, entertainment, production and design, Web and media, strategic communication, mass media etc. Classes will provide an in-depth understanding of topics chosen. Refer to the semester schedule for specific topics offered. Dual-listed in the UALR Graduate Catalog as MCOM 5384. Three credit hours. Prerequisites: MCOM 2320, MCOM 2350 or MCOM 2308, and MCOM 3310. This course will serve as part two in a sequence of courses dealing with mass communication and the World Wide Web. A specific focus will be on server communication and publishing dynamic websites for all platforms. Three credit hours. This course examines the material and ideological representations of various racial and ethnic groups in the United States as reflected in the media including both historical and contemporary depictions. Students explore theories including racial formation, otherness, and commodification, among others. In this course, students learn the origins of ideological and material representations of minorities; how they are maintained in the culture and in the media; the similarities and differences in depictions among and across racial and ethnic groups; and the impact of these representations on the minority groups and society as a whole. Three credit hours. Prerequisites: MCOM 2320, MCOM 2350, and MCOM 3320. MCOM 3315 and MCOM 3360 may be taken as prerequisites or corequisites. Class may also be taken with consent of instructor based upon demonstrably advanced media experience. Practice in gathering materials and writing in-depth stories on public affairs; emphasis on courts, police, government, education, ecology, the economy, and social issues. Materials submitted as assignments are subject to online postings. Dual-listed in the UALR Graduate Catalog as MCOM 5388. Three credit hours. Prerequisites: Junior standing, consent of instructor, approval of independent study proposal before registration. Individual in-depth study, research, or designated on-campus practicum. Three credit hours. Prerequisites: Senior standing, consent of school director. Work experiences either in the commercial media or in other designated media under the direction of a mass communication professional. Periodic written and oral reports to the professor coordinating the study. Three credit hours. Prerequisites: Student must have a 3.0 GPA in the major and a 2.5 overall, and must have approval of the School director. Work experiences in the commercial media or other designated media under direction of a mass communication professional. Periodic written and oral reports to the professor coordinating the study. Three credit hours. Prerequisites: senior standing and consent of the instructor. Production of programs for the electronic media. Students function individually and on news teams to develop high-quality electronic news and information programs to be distributed on the University’s cable television channel and the School of Mass Communication’s websites via video streaming when appropriate. Three credit hours.